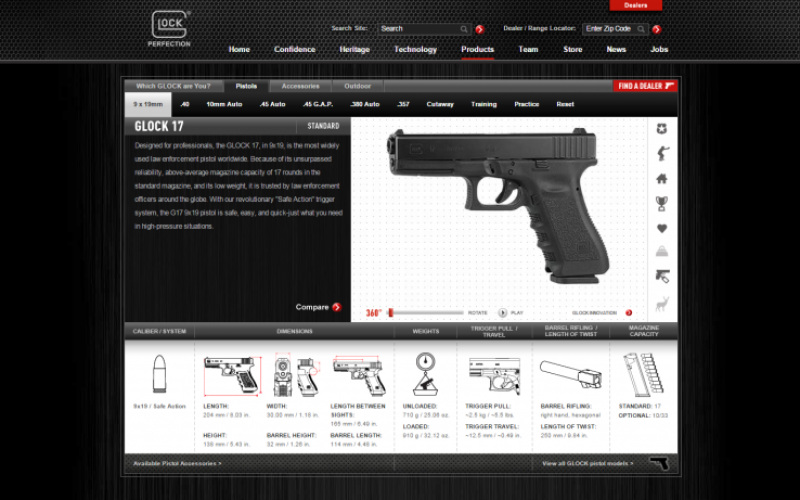 Glock came to Union Square Design for a website face-lift. The old Glock website was outdated. The firearm company did not know much about e-commerce web design or how to optimize their website. So they came to us, and we gave them the site redesign they needed. 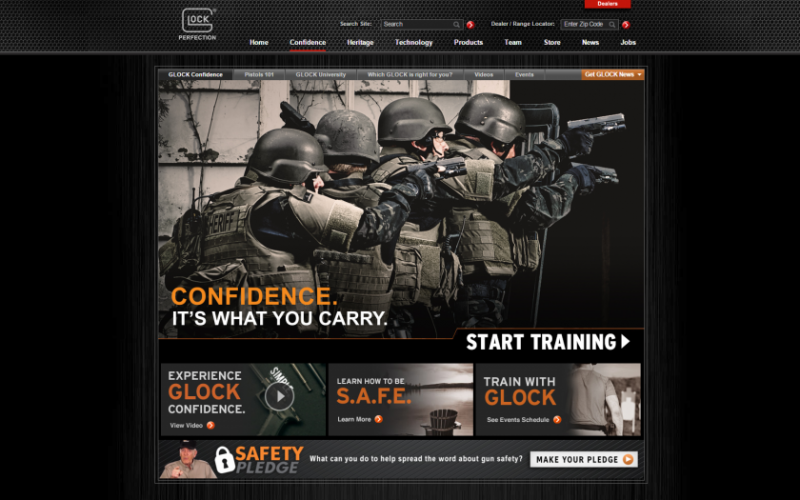 The design plan for Glock’s site was primarily to update it entirely. First, we set the company up with Magento. Magento is a platform that is specifically for e-commerce; it is easy to use and customize. The interface gave the firearm company a way for customers to buy products quickly and easily. After the company was on board with the use of Magento, the website face-lift went smoothly. 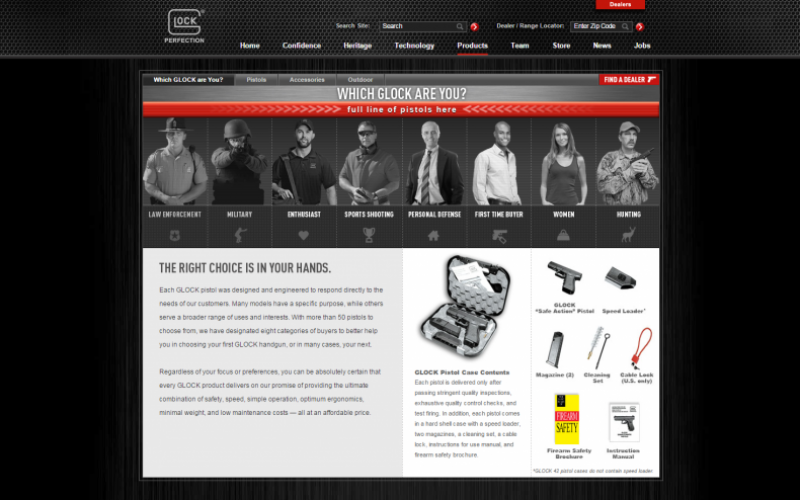 Now, the pages on the Glock website are easy to read, as well as navigate. Their products are on display and clickable. When customers choose the firearm of their choice, it is easy for them to make the purchase. Glock, the internationally renowned firearms maker and seller, has been a major pistol manufacturer for more than 30 years. They are known for their pistol, which has become a standard in police weaponry and military forces all over the world. The company’s commitment to perfection has made it a company to which all other firearms manufacturers have been compared. With their pistols made of both metals and plastics they have brought guns and gun accessories into the modern age. This company sells firearms, so that is a specialized field of business. The firearm company will probably have no trouble selling its product. So really, the integration of Magento to the website completed and perfected the redesign. 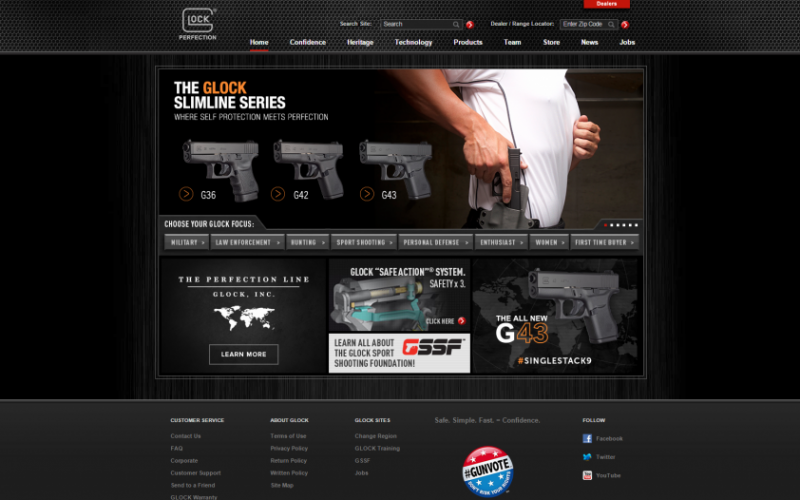 Now the new Glock website is easily accessible to customers who’d like to buy firearms. The new Glock design is sleek and easy to navigate. There are also high-definition pictures of the products, and photos of celebrities using them.